Follow us and explore the oldest city of Europe and the first organized human civilization. 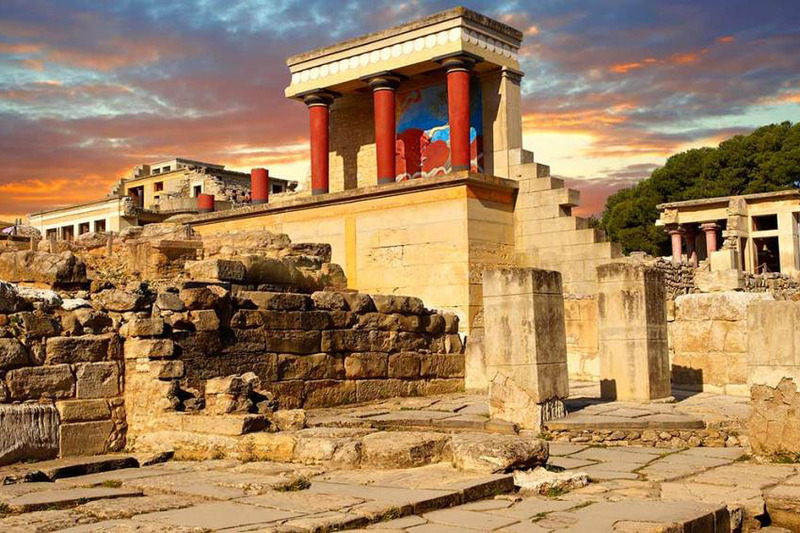 Discover the greatness of the ancient Minoans and walk around the old stone-paths of Knossos, the cradle of Minoan civilization. 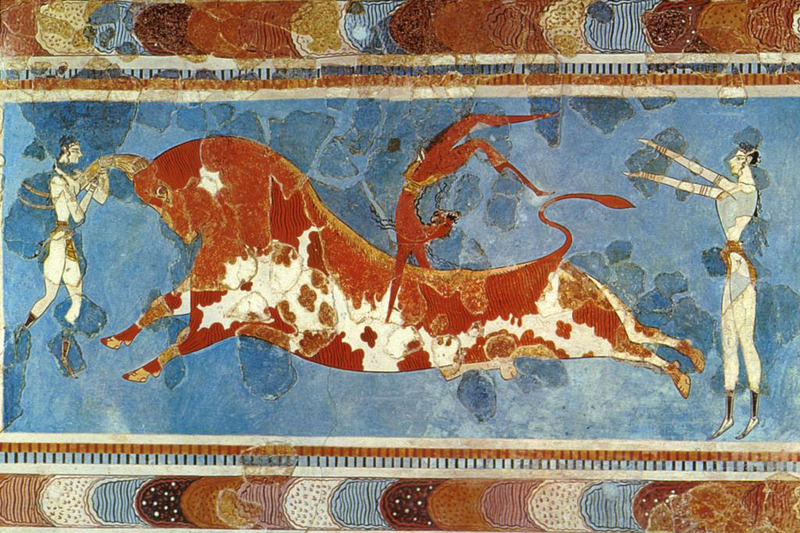 The palace of Knossos, the centre of Minoan civilization, was constituted the main force of the island’s population during the Bronze Age. Their civilization as well as the palace was destroyed at the explosion of the Santorini Volcano. 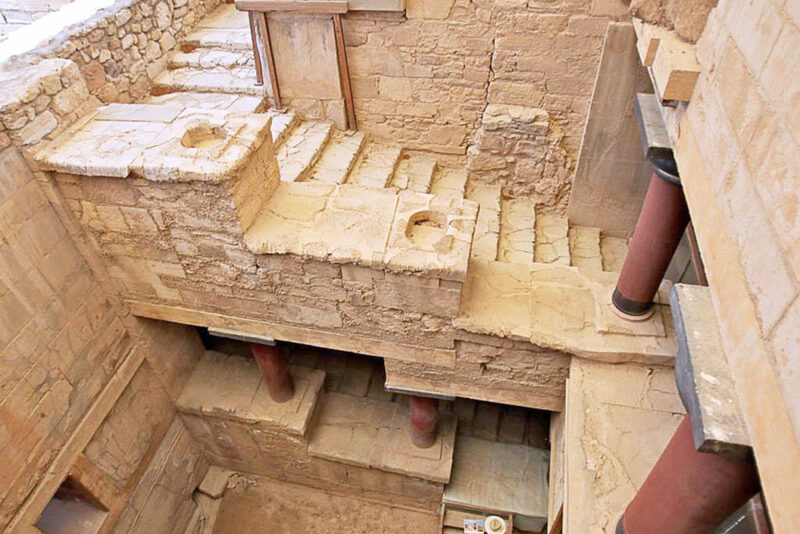 The excavation conducted by Arthur Evans 1900-1913 and 1922-1930 brought to light the grand palace of Knossos, along with other great findings of immense importance concerning the culture and the life of the Minoans, which are as of yet kept at the archaeological museum of Heraklion. The “Unexplored Mansion”. Private building, probably of private-industrial function, to the NW of the palace. It is rectangular, with a central, four-pillared hall, corridors, storerooms and remains of a staircase. 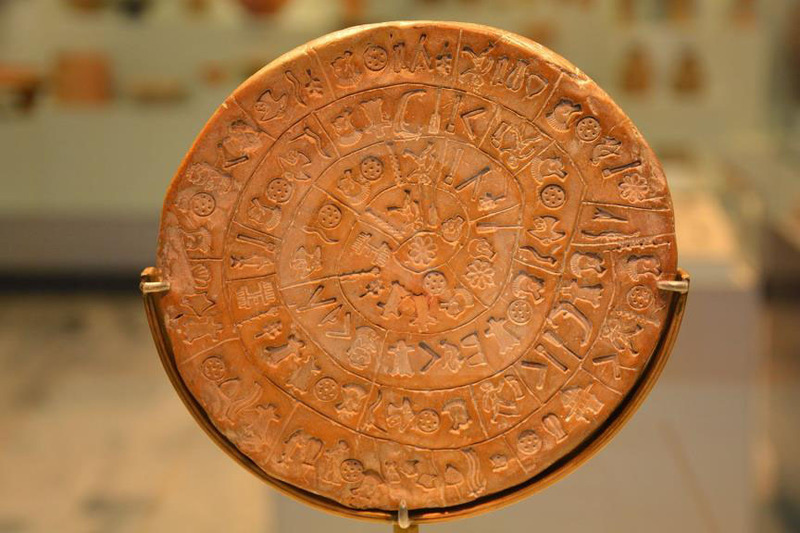 Dated to the 14th-12th centuries B.C. Temple Tomb. It is located almost 600 m. to the south of the palace and was connected with the “House of the High Priest” by means of a paved street. 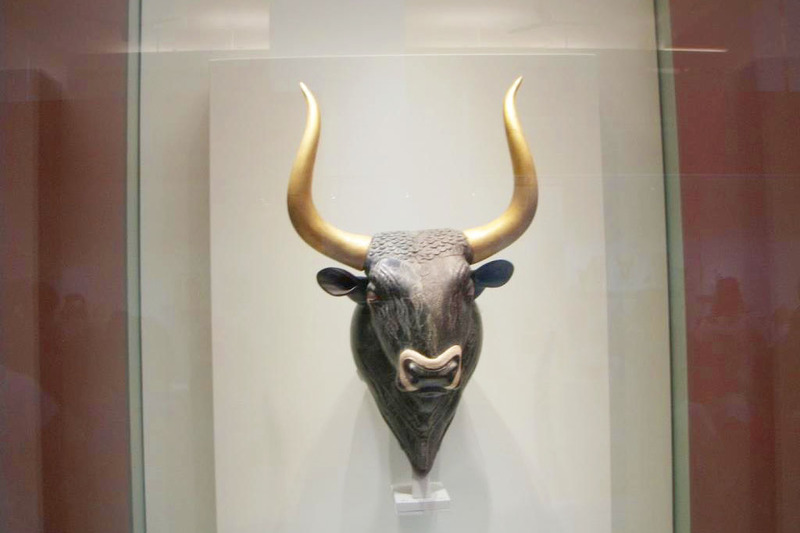 It seems that one of the last kings of Knossos (17th-14th centuries B.C.) 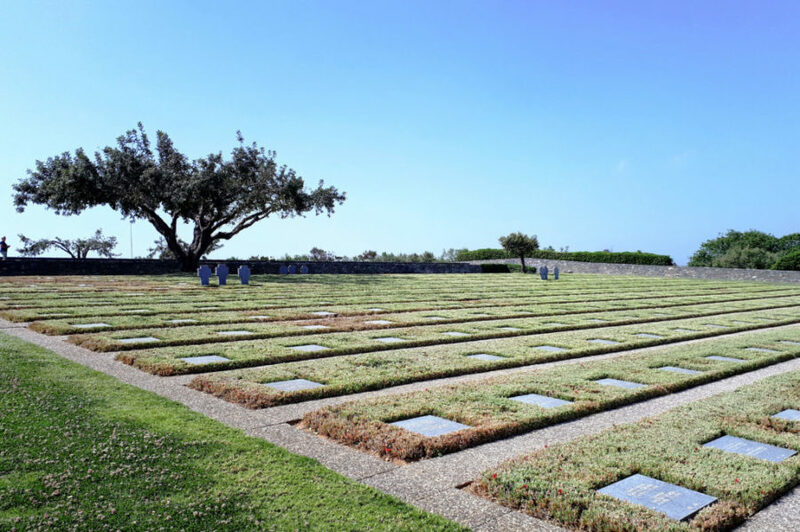 was buried here. Typical features of its architecture are the hypostyle, two-pillar crypt, the entrance with the courtyard, the portico and a small anteroom. The South Mansion. Private civic house, located to the south of the palace. It is a three-stored building with a lustral basin and a hypostyle crypt, dating from the 17th-15th centuries B.C. Our trip starts in Chania. 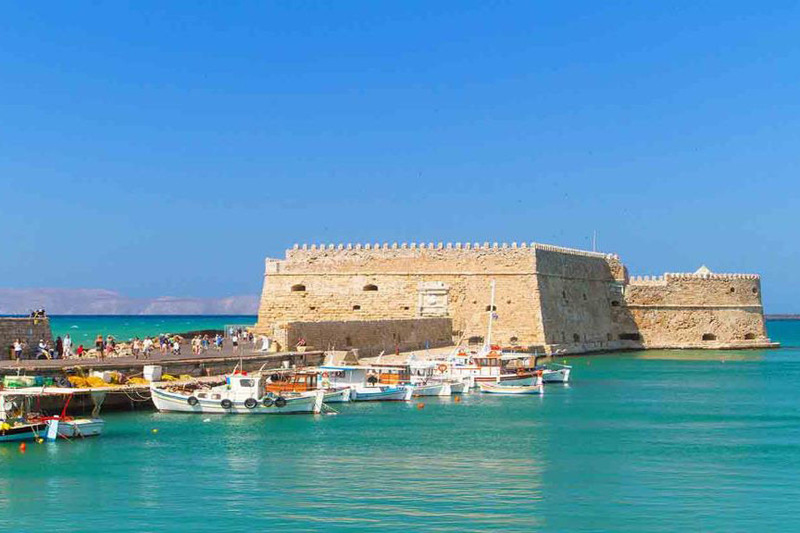 After we pick you up with our bus from your hotel or a location in its vicinity, we head to Heraklion, which we reach about three hours later. On the way to Heraklion we make a stop near Rethymnon for a few minutes. 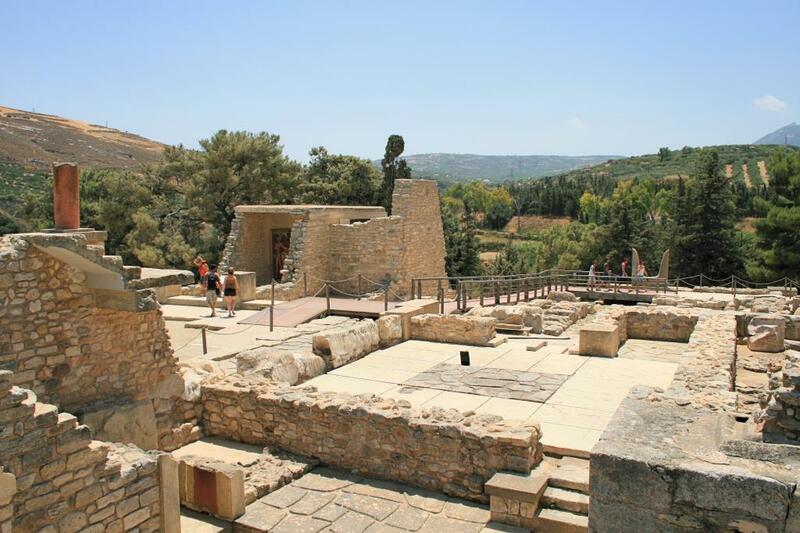 Our first stop is the palace of Knossos, through whose premises you will be guided by our guide. The tour lasts one hour. 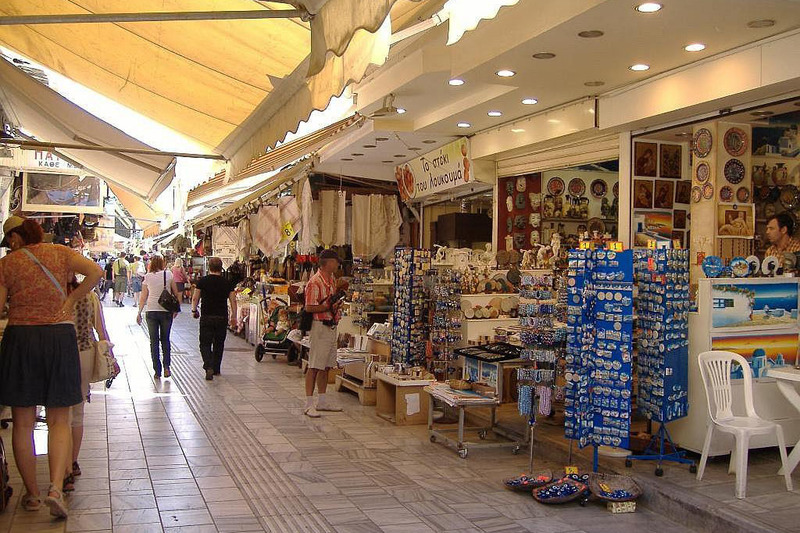 Subsequently we head to the centre of Heraklion, where you have plenty of time to eat and shop. 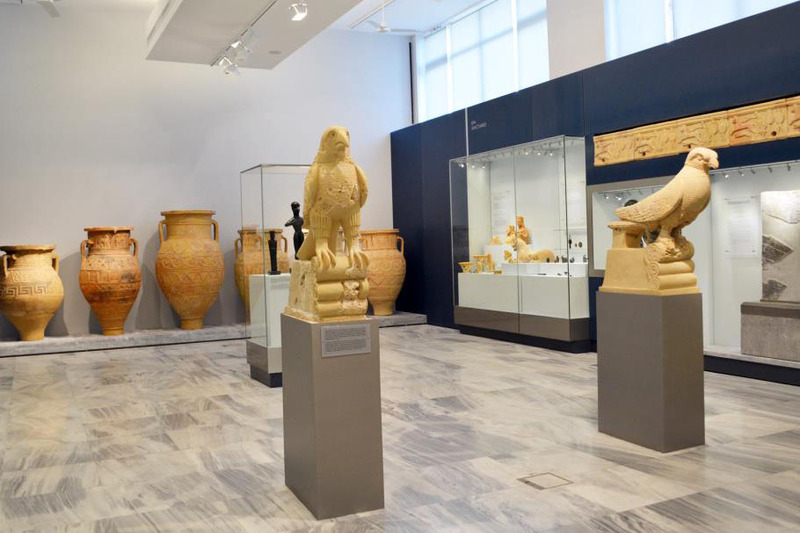 While there, you also have the chance to visit the archaeological museum of Heraklion with our guide and to admire up close murals and objects from the palace you have just visited. 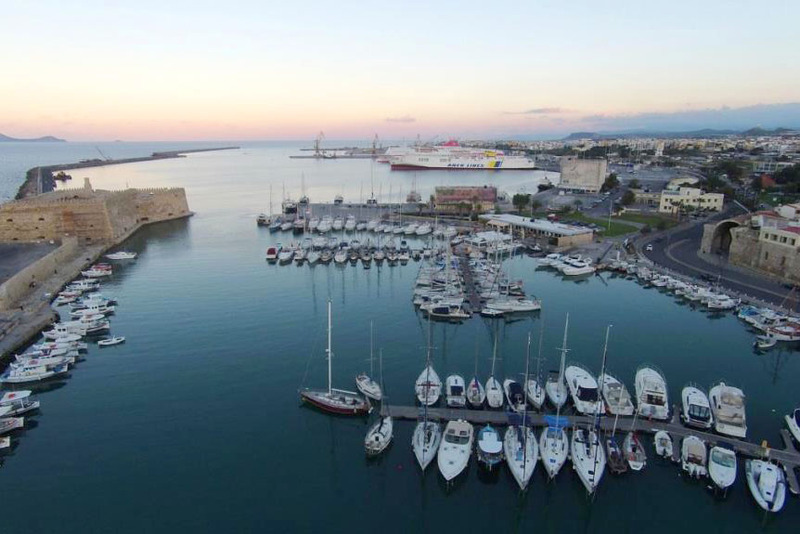 After a more or less three-hour stay in Heraklion we head back to Chania. 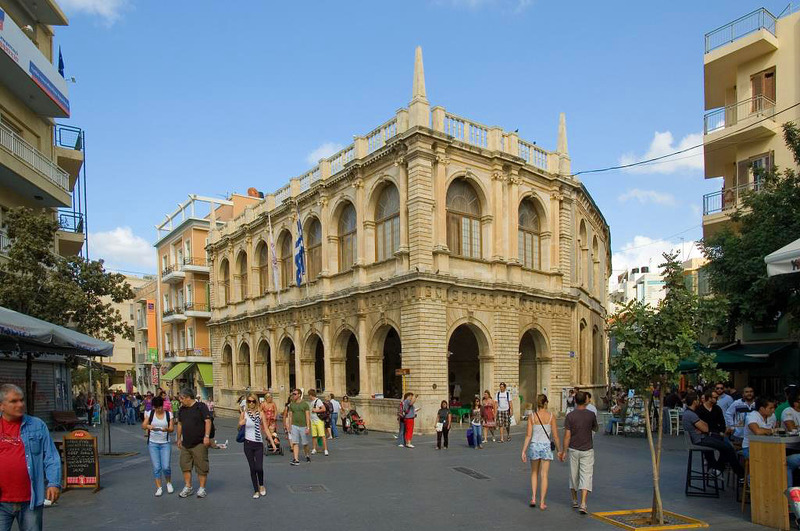 Before we reach our destination, we make an one-hour stop at Rethymnon city. Right after that we return to Chania and to your hotels.